The Sultan of Perak has called on Shariah scholars to embrace new technology in overall Islamic finance and to envisage how “fintech” might be harnessed to revolutionise zakat and waqf collection, as well as distribution. 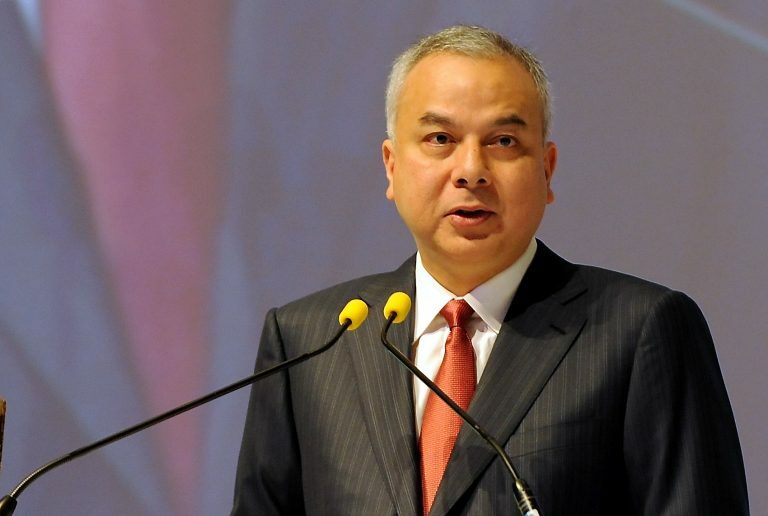 “Imagine, for a moment — and it is not all that difficult to do so — that zakat payments could be calculated and made using smartphone apps, which would present payers with donation options tailored to their personal preferences,” Sultan Nazrin Muizzuddin Shah (picture) said. The implementation of such fintech systems could be done in partnership with the various state religious and zakat authorities, he said. “(With that), Islamic finance could be mobilised much more efficiently, in a more transparent manner, and on a much larger scale,” he said in his speech entitled “Realising the Sustainable Development Goals (SDGs) Through Islamic Finance” at the 20th Anniversary Dinner of Bank Negara Malaysia’s (BNM) Shariah Advisory Council in Kuala Lumpur last night. Hence, Sultan Nazrin said modernisation is the only way forward for Islamic finance, not only in terms of improving efficiency and reaching a larger scale, but also to help on a more global level. For instance, the instruments of Islamic finance, like zakat (tithe), sadaqah (charity) and waqf (endowment), may have an important, and even essential role to play in addressing, among others, refugees crises, he said. Sultan Nazrin said there is a staggering figure of over 125 million refugees worldwide due to, among others, environmental devastation of climate change to the upheaval and suffering caused by political and military unrest. However, the current levels of voluntary donations are simply not sufficient to provide even the most basic of necessities for all of these people, he added. Faced with the challenge of extreme funding shortages, he said the International Federation of Red Cross and Red Crescent Societies (IFRC) is now looking to the tools of Islamic social finance as a possible method of tackling the deficit and establishing a new and unique approach to humanitarian funding. The funding sources offered by Islamic finance can be used to support the work of organisations like the IFRC, not only in delivering essential aid in the middle of crises, but also providing the more long-term financial support necessary to promote resilience in at-risk areas before disasters strike, the ruler said. He said zakat, waqf and sadaqah had long been used to help the poor, at-risk and destitute in a variety of ways — for instance, by providing access to affordable housing, by improving quality of living standards and by implementing better avenues to good healthcare and education. “Until now, however, I think it is fair to remark that at the global level, donations have been collected and disbursed via a mostly uncoordinated and informal structure and that the benefits have been randomly distributed, which called for the system to be modernised,” he said. On the SDGs and Islamic finance, Sultan Nazrin said it is possible to trace the fingerprint of the Quran in each and every one of them (17 SDGs), adding that the holy book expounds the importance of food, water, safety and security, which are all also central to the SDGs. The ultimate aim of the SDGs is to end poverty, protect the planet and ensure prosperity for all. He said it is evident that the central instruments of Islamic finance — from zakat and waqf donations to takaful insurance and sukuk — could very easily be directed towards these goals. “Indeed, there are a few examples of this already being put into practice. A number of Socially Responsible Investment (SRI) sukuk have been established which support the aims of SDGs,” he said. For instance, he said the GAVI (the Global Alliance for Vaccines and Immunisation) Sukuk, which funds immunisation programmes in the world’s poorest countries, is in support of SDGs that aim for “good health and wellbeing” for all, while the Khazanah SRI Sukuk, funding schools in Malaysia, promotes SDGs on “quality education” as “the foundat ion to improving people’s lives”. The world’s first green sukuk was issued in Malaysia as a collaboration between BNM and Securities Commission Malaysia, together with the World Bank. “I hope this will become the catalyst for many more, not only in Malaysia but across the Muslim world, with the aim of contributing to SDGs, such as on ‘climate action’ and protecting animal and plant life in the seas and on the land,” Sultan Nazrin said.